Have you ever made your own Strudel Pastry? 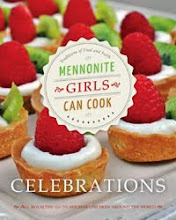 It was fun sharing recipes at a recent reunion. 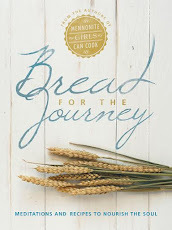 Today I'm sharing with you a new favorite. And the beauty of this is that it's simple and quick to make and the results are delicious. Use any kind of fruits and you have fresh strudel. Grate butter into flour and use a pastry blender to mix ingredients together. Then add your sour cream and form a ball. Divide the ball into two halves and refrigerate for 30 minutes. The dough should be thin enough and yet pliable enough to fold over. Place on parchment-lined cookie sheet and bake at 400 degrees for 25 minutes. Leave it cool on the parchment paper prior to transferring to a serving plate. This dough is enough for 2 strudels. You can store the other ball in the fridge until needed. blackberries are my favorite...you can mix and add and adjust your sugar mixture. Only use about 3/4 cup of this mixture for one strudel. TIP use a 1/4 cup more flour or cornstarch when using berries. Prepare the fruit first and you can leave the peel on when using transparent apples. Prepare Sugar mixture in a bowl. Sprinkle 1/4 cup sugar mixture over the center of dough. Top with fruit and add 1/2 cup sugar mixture along the strip/top of fruit. Fold dough over half of the fruit mixture and then fold the other half. Seal pastry edges by simply dabbing your fingers with water. Store extra sugar mixture in container. 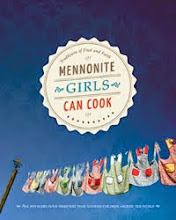 I have used Anneliese's sugar mixture which is also featured in our first book Mennonite Girls Can Cook, page 174. Sometimes I double this mixture and keep it on hand so that whenever I want to make a quick strudel or perishky it's always ready to go. Mix ingredients together to make a smooth consistency. Drizzle over strudel when cool and add a few toasted slivered almonds. You can garnish it with some icing and almonds or you can leave it as is. Once again, the beauty of this dough is that you can use any fresh fruit that you have at your local market. I made one strudel with apples and one with apricots. Mix the flavors with fresh blackberries. You always know that when the last piece is taken, it must have been really good. Could you clarify the sugar mixture you are referring to? This looks amazing and I would love to make this. 1/4 cup cornstarch (use this 1/2 cup mixture for apples) <------ use what ½ cup mixture? Add 3/4 cup thickening if using berries <------ what thickening? Let me try to clarify. Mix up the sugar, flour and cornstarch amounts as stated, for most fruit. (2 cups sugar, 1/4 cup cornstarch and 1/4 cup flour) BUT, because berries are juicier, add another 1/4 cup flour or cornstarch (thickening) to the two cups. I think she uses 1/2 cup of this mix (that she keeps on hand) per strudel). Thank you Anneliese on my behalf for answering the questions...Marg was having a genuine sick day. Oh Wow this looks so delicious! Great to not have to buy puff pastry as in most recipes. I'm assuming this dough makes two strudels - right? I can't wait to try this! What a wonderful pastry recipe, simple and with a beautiful result. Please, what are "transparent apples", what type are they? We have a variety here in the States called a "Golden Delicious." They have a thin, transparent yellow skin that we don't bother peeling because it's so tender, even when baked or dried. And they truly are delicious! I love a good, crisp apple. Yum! Okay I think I need to eat breakfast before I come on here - looks yummy! I have not tried that recipe, I just looked it up on line. It sure looks simple and easy. Have a wonderful day...let me know how it turned out. If you use blackberries increase your amount of cornstarch as the recipe says. Good luck! The dough recipe makes 2 strudels, is that correct? (step 3, divide ball into 2) also, the pictures look like you make shallow slashes across the top before baking? Thank you, this looks delicious and do-able! Yes, this makes two strudels and , you have afoot eye...yes, make slashes across the top prior to putting in oven. Oh, so sorry, it too late...I would not have more than two cups per strudel at the most. It's not thick like pie, but rather thin, because you want to feel the flakey crust in your mouth. Don't water down that crust.